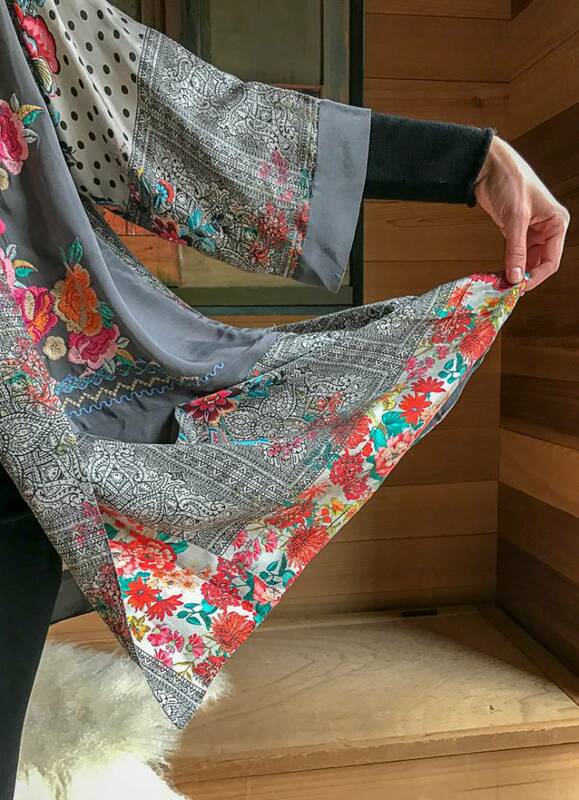 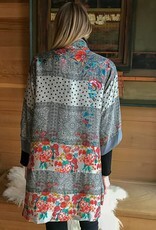 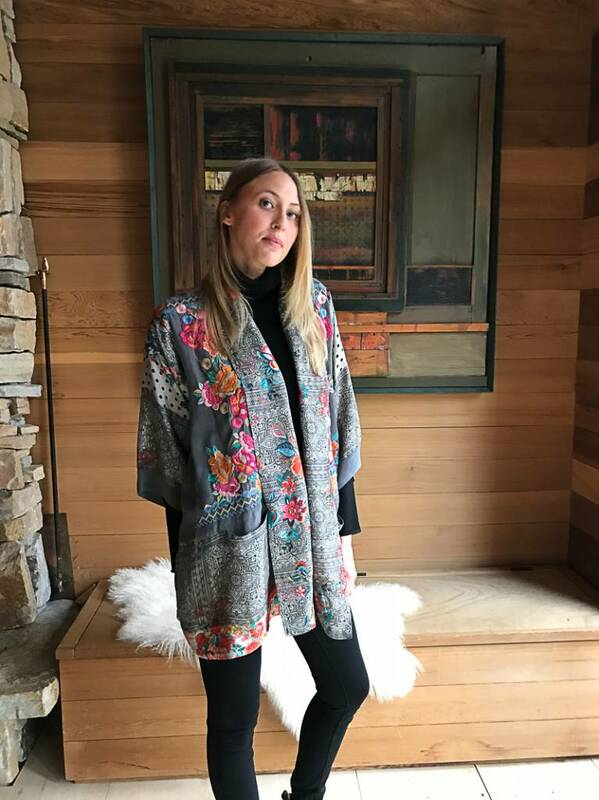 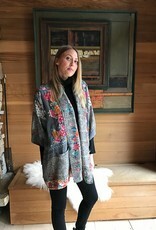 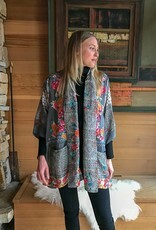 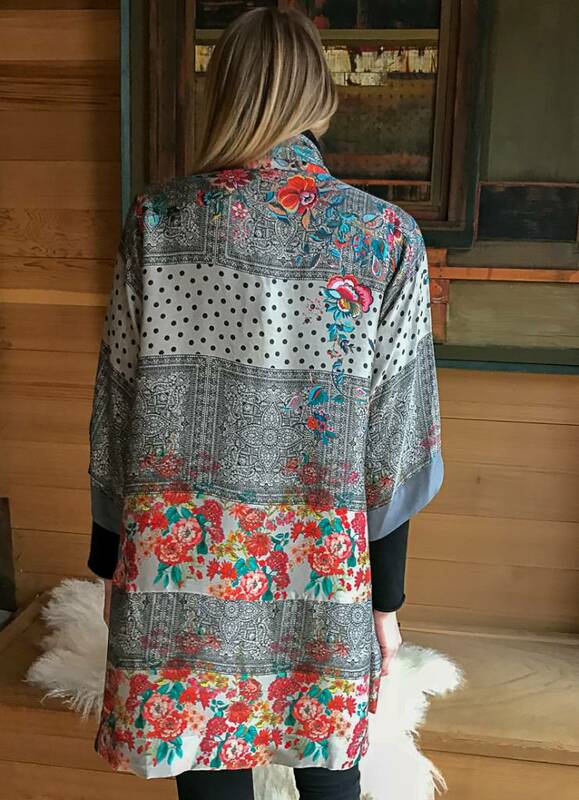 This stunning kimono will be your holiday go to. 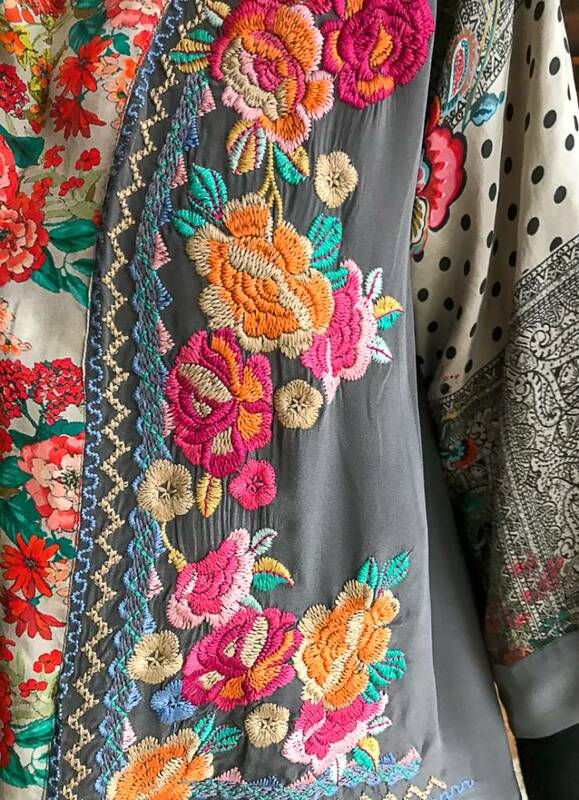 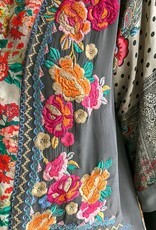 The draped collar has vibrant embroidery lending it just the right drape. Three-quarter length kimono sleeves are elegant and make the piece perfect over a cashmere turtleneck now and a simple tank come summer. 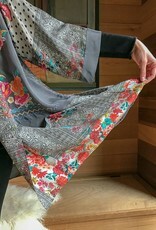 The front tie closure allows you to wear it in different styles and slit pockets add a welcome bit of practicality.